Murder and memory in Uganda. The accused (from left): Mohammed Anyule, Nasur Gille, and Yusuf Gowon. Photo by Andrew Rice. Uganda is considered one of the great success stories of Africa. But today’s relative calm and prosperity belies the country’s dark past under the regime of military dictator Idi Amin Dada. Among the tens of thousands of atrocities committed during Amin’s brutal reign was the politically motivated execution of local chief Eliphaz Laki, who was “taken” on September 22, 1972, when his son Duncan was just nine years old. For close to three decades, Duncan wondered about the mysterious circumstances surrounding his dad’s disappearance. Over the years, he made several halting attempts to identify his father’s killers, but his efforts went for naught until he discovered that Eliphaz’s Volkswagen Beetle had been registered in another man’s name in November 1972. Beginning with that key bit of information, Duncan tracked down those allegedly responsible for his father’s murder—former Amin chief of staff Yusuf Gowon, triggerman Nasur Gille and informer Mohammed Anyule—and had them arrested for their crimes. Duncan’s attempt to bring Gowon and his co-defendants to justice roiled parts of Uganda, a country that has taken a “forgive and forget” approach to its bloody past. 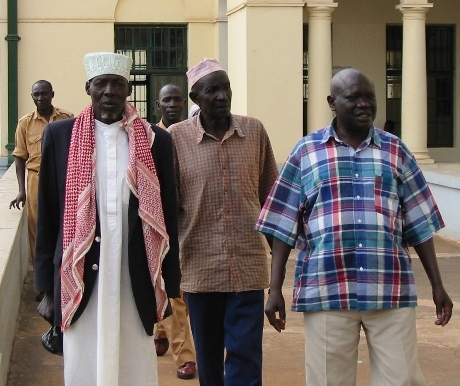 At the same time, his determined action seemed to assuage fellow victims of Amin-era violence, who had long been denied the opportunity to seek reconciliation or witness a day of reckoning. In “The Teeth May Smile But The Heart Does Not Forget” (Metropolitan), author Andrew Rice recounts how Duncan solved this real-life murder mystery, and also explores the case’s impact on 21st century Uganda. Recently, Failure caught up with Rice to discuss the story and the outcome of the trial, and to find out whether Duncan is finally at peace after a journey of more than 30 years. What happened to Eliphaz Laki? He disappeared under the regime of Idi Amin. He was a supporter of the prior president, and because he was known to be an opposition supporter he was targeted. What drove Duncan to seek the truth about his father’s fate? It was something that ate at him. Even more maddening than not knowing was not being allowed to ask. On several occasions he tried to figure out what had happened and was diverted at each turn until he discovered an important clue that set the ball rolling. It must have taken courage to pursue the case. I understand his family was not totally on board with the idea. His family was divided. Their reluctance was understandable because they basically knew what happened. And getting to the nitty-gritty of the truth was potentially dangerous if people who still held power were implicated. So it definitely took courage. Duncan is very soft spoken but also a brave and determined guy. How did Duncan find his father’s killers? The key was a motor vehicle registration. The way Laki was killed is that he was taken away in his own car. Automobiles were extremely valuable in those days, as only a couple of people in an entire county owned one. So when the soldiers took Laki they made sure to take his car, too. Many years later, when Duncan was working at the Uganda Revenue Authority, he looked up the registration for his father’s car. He discovered that it had been re-registered, and that the individual was living in the northwestern part of the country where Amin was from. So it seemed quite likely that this person was, if not the killer, then somebody who knew the killer. Duncan tracked down this individual—Mohammed Anyule—via private detectives, and Anyule eventually confessed. He said: I was involved. I know what happened. But I was just the driver. The guy who actually did the killing was Nasur Gille. Gille is now a bicycle repairman, but at the time he was an assassin for the army. Under interrogation, Gille admitted that he shot Laki, but said he did it under orders from [Major General] Yusuf Gowon. Gowon had subsequently become chief of staff of the army under Amin, and had come back to Uganda under a highly publicized amnesty. The three of them must have been shocked when they were arrested. Yes, because they had been in exile in Sudan and Congo, which is where all of Amin’s former henchmen went. When they came back in the 1990s it was understood that they wouldn’t be prosecuted for crimes they had committed. But it didn’t turn out that way. How does Uganda’s approach to dealing with the past compare to that of other countries? Different countries have taken different approaches. In South Africa, they had the Truth and Reconciliation Commission, which basically said: If you confess we will give you amnesty. In Rwanda they had something similar, in which people were judged by their own villages. Other places have had criminal tribunals, as we are seeing in Cambodia. Uganda took a different approach. They decided to start anew and not get bogged down in trying to figure out who did what to whom. So there was very little in the way of inquiry or justice seeking. In fact, there was an implicit sense that it was your patriotic duty as a victim to accept the reconciliation that the government was enforcing. Tell me about the media coverage of the case. How did the Ugandan public respond to the story? It was mixed. Uganda is a relentlessly present-tense place. In this as in other things, there was a sense that the trial was part of a different chapter in history. There was a great deal of interest among people who had lived through [the 1970s] and among people who had a personal or family interest. But it wasn’t like it dominated the front page of the newspaper, which was a little odd because Gowon was the highest ranking officer ever tried from Amin’s regime. The one place where they did talk about it a lot was in northwestern Uganda. In that area it was highly controversial because people felt like Gowon and his co-defendants had been betrayed by the government and were the victims of political persecution. In Uganda it’s very much the British system. There’s a judge, he wears a wig, and there are barristers who wear black robes. So it’s sort of familiar if you’ve ever encountered the British justice system or watched an episode of Prime Suspect. But there was no jury. They never had the jury system in Uganda under colonialism because they didn’t necessarily believe that Ugandans were competent to judge their peers. So the judge had almost all the power over the case [“Uganda v. Major General Yusuf Gowon and two others”], which was significant because the judge was Muslim and all the defendants were Muslim. There was a feeling among observers that the judge would be predisposed to judge his fellow Muslims kindly. Why did the prosecution ultimately withdraw the indictment? When Duncan was investigating his father’s disappearance he hired private investigators, and they very efficiently solved the crime. 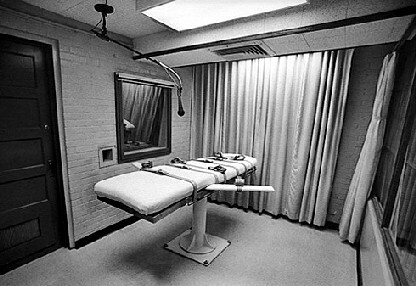 They secured two tape-recorded confessions that seemed to paint a pretty convincing picture of what happened. But Anyule and Gille [subsequently] recanted their confessions and said they were made under duress. I never found any real evidence of duress. It seemed more like they were induced to confess by promises of better or more lenient treatment vis-à-vis Gowon, who was the “big” defendant. But those promises of lenient treatment never panned out and they were tried alongside Gowon. So the admissibility of the confessions became an issue and ultimately the use of the private detectives and not doing things exactly by the book according to Ugandan law resulted in the case being thrown out. How did Duncan handle this outcome? At first he took it very hard. He wanted some kind of verdict because he felt that the verdict would necessarily be a memorial to his father or an indelible statement about the truth of what had happened. But he feels better about it now, and I think he feels it was worthwhile. He also takes some inspiration from the fact that other Ugandans have tried to find out what happened to their loved ones. But the most important thing for him was that he found his father’s body. Prior to recanting their confession Anyule and Gille led him to his father’s grave and he recovered the body, which was eventually reburied. So even if he didn’t get the resolution he wanted he got something very important. 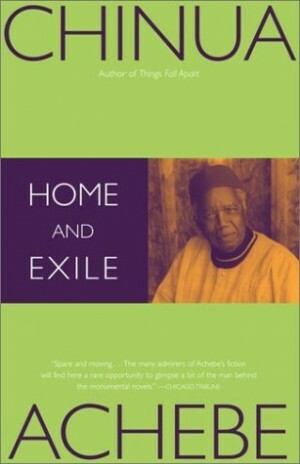 Can you explain the title of the book? The title comes from a Ugandan proverb. The idea is that someone may be smiling on the outside and may seem healed, but inside the pain of the past has not been forgotten. It describes Duncan prior to finding his father, but also the country as a whole. Uganda is a beautiful place and its economy has grown at a pretty decent clip. So there’s a lot that looks positive about the country and people are really hoping that positive things will continue over the long term. On the other hand, there is a lot of unfinished business and this case is just one small example of the kind of unfinished business that remains. 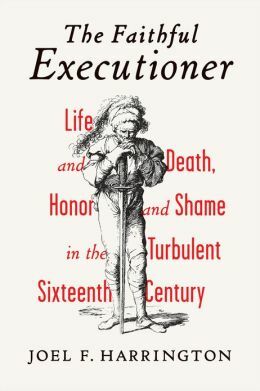 The Faithful Executioner—Joel F. Harrington on the life of sixteenth-century executioner Frantz Schmidt. The Museum of Towing and Recovery—A celebration of emergency roadside assistance.